A Washington resident tells us that a company recently called him to say it had learned from the “DMV” that he was paying too much for auto insurance. Rest assured, the Department of Licensing keeps no record of the amount you pay for insurance. In fact, whenever a company tries to sell you something by claiming to have DOL data, it should raise red flag. That’s because we don’t release data for marketing purposes. However, we do have a sincere interest in protecting you from bogus claims and possible scams. For example, earlier this year, several websites emerged offering to help provide driver licenses for a fee. 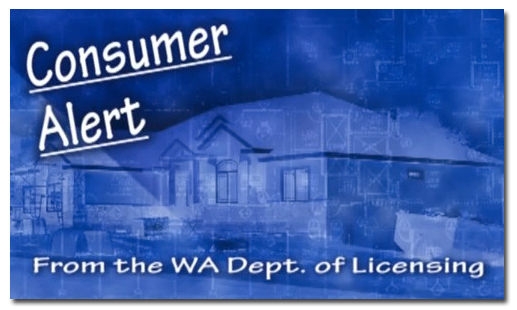 While those websites might appear to be official, they are NOT affiliated with the Washington State Department of Licensing. And unlike those websites, DOL never charges a fee for customer service or for the use of any of our forms. Here’s the video we produced earlier this year regarding those questionable websites; showing yet another example of how suspect companies are trying to take advantage of consumers. You are currently browsing the Licensing Express blog archives for September, 2012.